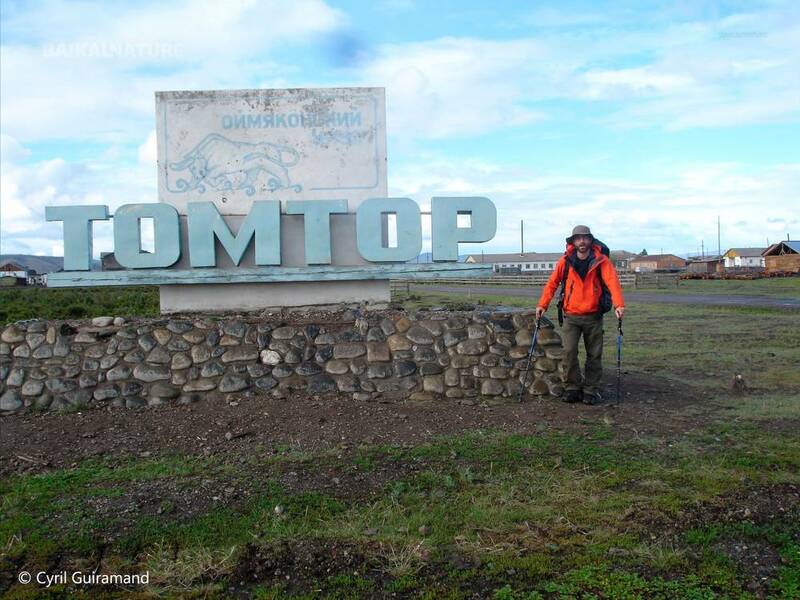 Road of the bones Expedition, expedition on the Kolyma highway, expedition Magadan-Yakutsk or the Pole of Cold… None of the names we could have thought about would have been able to reflect the richness of this tour. During this trip, you will visit the port town of Magadan, the popular Kolyma highway (or “Road of Bones”), the hydropower station of the Kolyma, ghost towns, the Pole of Cold, the capital city of Yakutia, the road of permafrost. 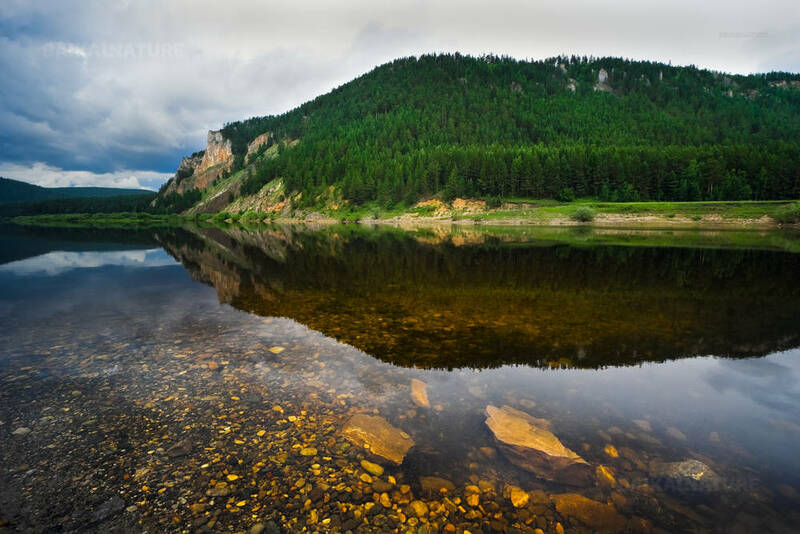 This route is the short version of the Moscow-Magadan expedition and was designed for those who have already discovered the European part of Russia, or simply those who have less free time for such a trip. The expedition route is already known but can also change (which is the spirit of an expedition) according to the weather, the state of the road or any unforeseen events and cases of force majeure. Transfer to the hotel. check-in and meeting with your guide for discussion of the programme. Visit of the city centre. Program of the visits: Regional History Museum of Magadan with its 5 halls reserved for the GULAG history. 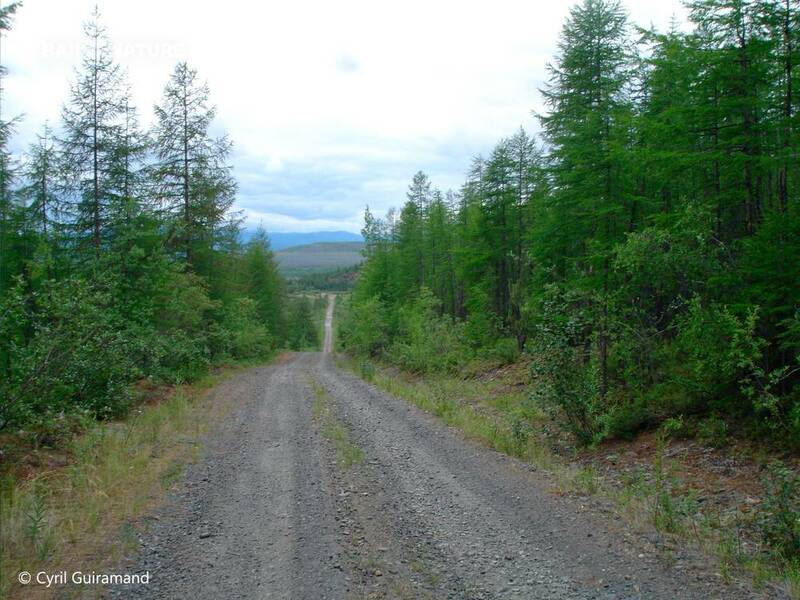 Today we take the Kolyma road up north and west to the town Susuman. 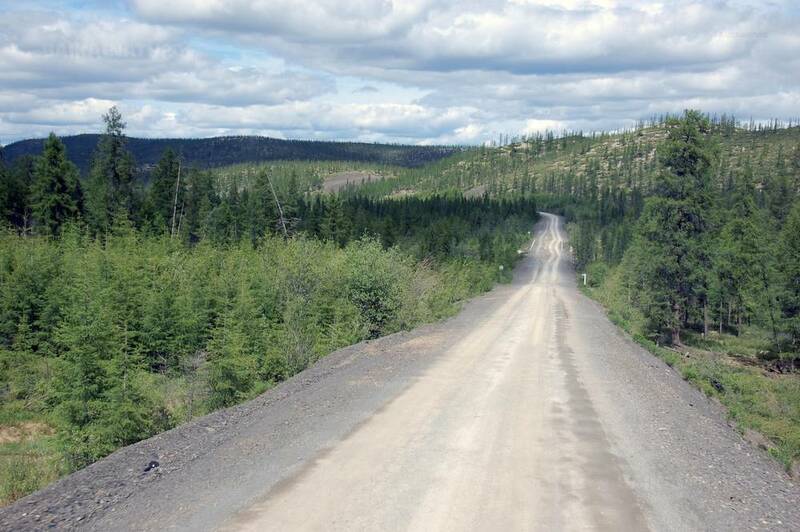 The road of Kolyma, joining Magadan and Yakutsk (2032 km long), is considered as one of the most difficult. The building of the road was started in 1932 and lasted more than 20 years. The road was built by the prisoners. The entire process was made in awful working and living conditions, in the cold and the mortality rate was very high. and the Kolyma became a mass grave for thousands of people, which inspired this terrible and mournful name - Road of bones. Payment on site in cash (not included). Accommodation in the local mini-hotel. Before, 7000 people lived in the town located near two coal mines, in which all the citizens were working. But in 1996, an incident in one of them killed 6 workers and the mines were declared too dangerous to work in anymore and got closed. All the private sector was burnt so the citizens wouldn’t come back to the city. Today, only a man with his two dogs still lives there. Today we will go to Ust-Nera town, the administrative center of Oymyakonsky District. Gold mining is the main occupation. Accommodation in the hotel. Time at leisure. Early transfer to the village of Tomtor, a challenger for the “Pole of Cold” title. Its main competitor is currently Oymyakon. Besides, since 2001, the village has reunited hundreds of people every year for the “Pole of Cold” festival, which welcomes all the most important Santa Clauses in the world. From the Finnish “Joulupukki” to “Ded Moroz” from Veliky Ustyug, the most popular Russian Father Christmas, they are all present for this event. “Chyskhaan”, the terrible Yakoutian “Keeper of the Cold” is also there, but only by default, because he lives here, in a sacred cave in the mountains Ebe-Khayya. 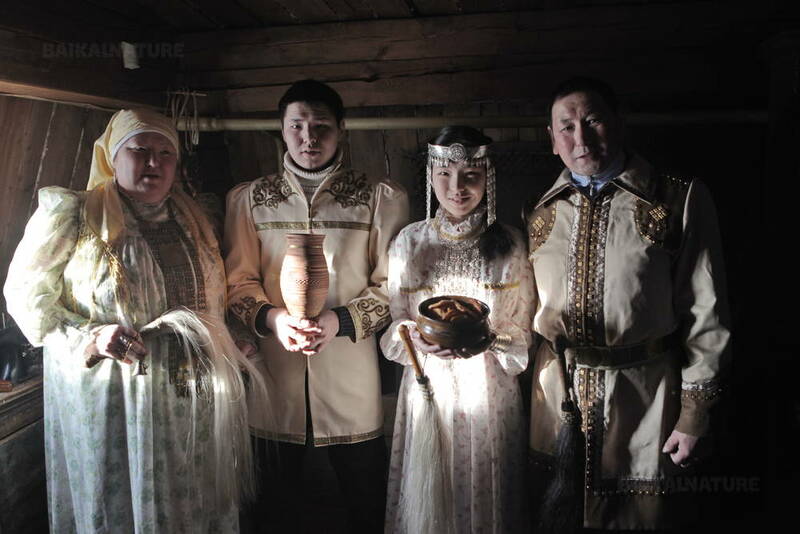 Visit of the Chyskhaana cave (museum of ice sculpture) and the “Pole of Cold”, the village of Oymyakon, 40 km away from Tomtor. According to non-official data, the record minimal temperature of -77.8°C was registered in 1938. 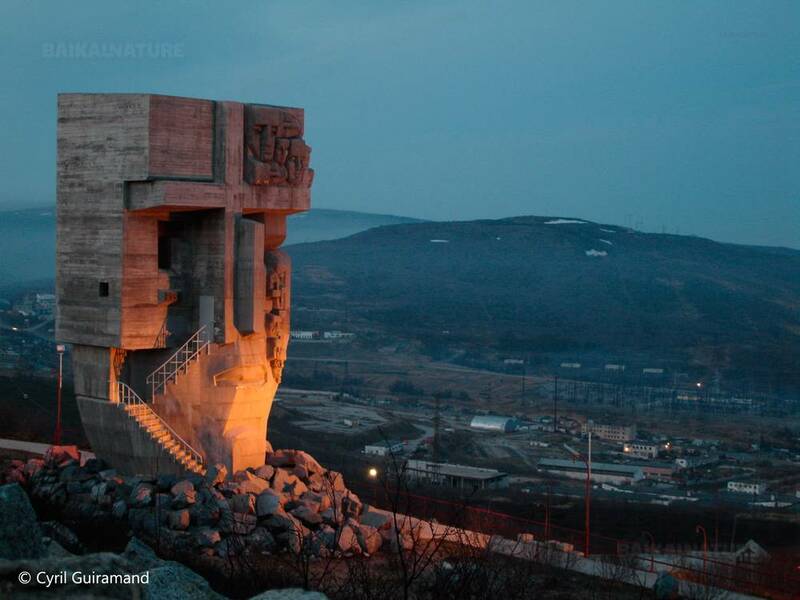 Khandyga is the ancient central point of the GULAG and became a marina in 1983. 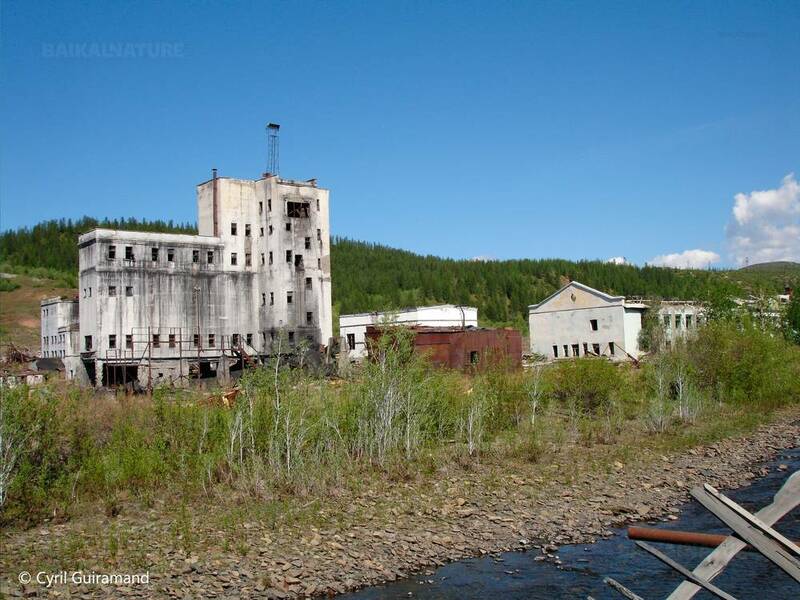 The village was built in 1939 along with the road between the river Aldan and Oymyakon. The city was built in 1632 and is the capital city of the Sakha Republic (Yakutia). Yakutsk is the biggest and oldest city in Yakutia, as well as one of the oldest in Siberia. 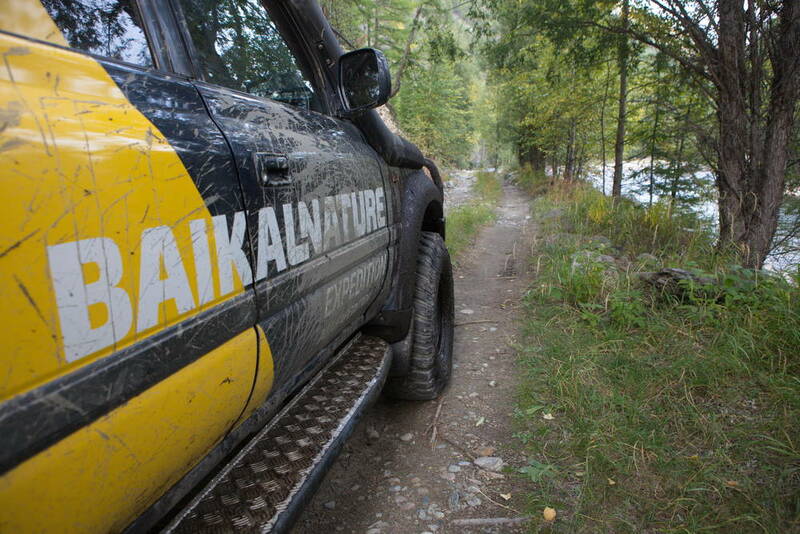 During the trip, we will cross some of the greatest Siberian rivers: Lena and Aldan. Arrival in Yakutsk in the afternoon. Rest after the long journey on the road. Visit of the city centre. “The Old Town” is an historic architectural complex, a district in the city centre, in which the buildings looks like the old Yakutsk. 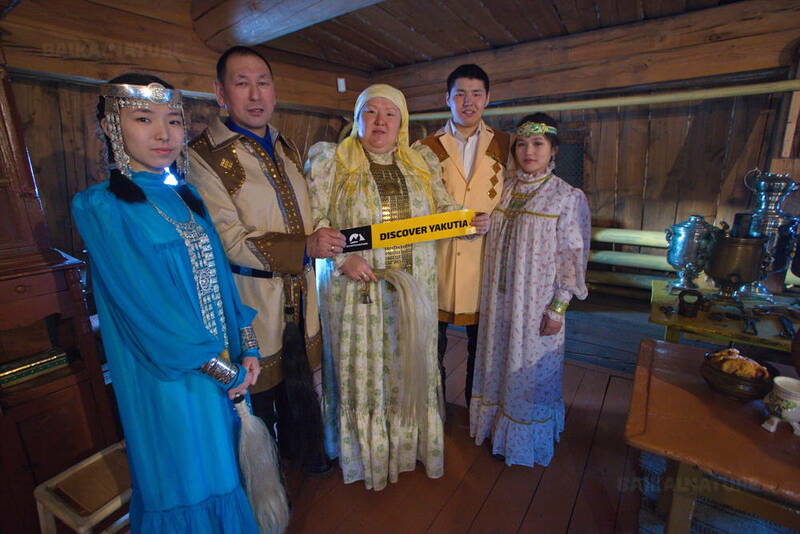 Besides, we will visit two legendary museums: The Mammoth Museum and Kingdom Permafrost. 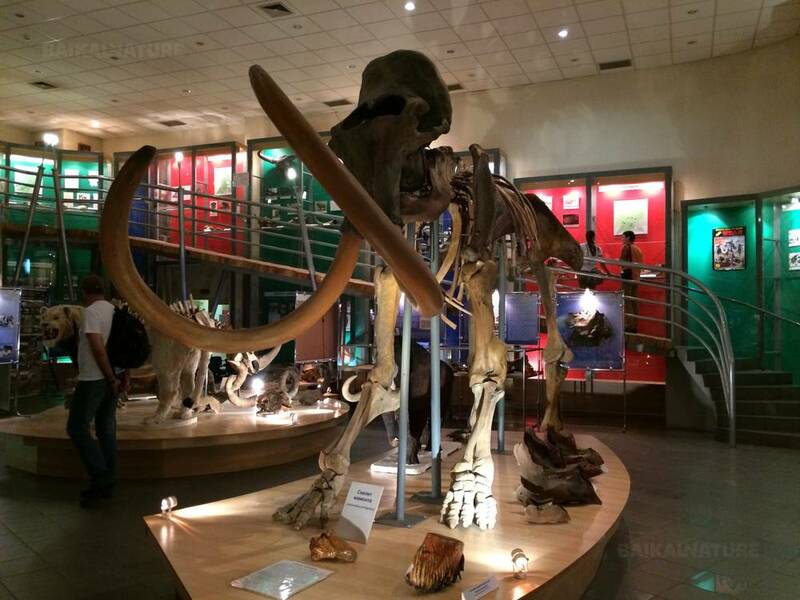 The World’s Mammoth Museum was created in 1991 on the initiative of Petr Alexandrovitch Lazarev, specialist of mammoths. The word “world” is indeed necessary, because the paleontological exhibit of unique objects as a worldwide significance and is a part of a priceless heritage for humanity. The Kingdom Permafrost opened in 2008. Behind a simple door on a mountain slope is hidden a real miracle made of ice. In summer, the temperature in the museum does not rise above -4°C, but in winter, it goes under -10°C. The departure is guaranteed for the group of 4. Of there are less than 4 persons in the group, the price will be recalculated. The itinerary of the expedition can be changed according to the road or weather conditions as well as unforeseen events. the camping equipment is included to the price, except the sleeping bag. Supplement for the sleeping bag rental is 1000 roubles / per person.